Do you have a problematic built-in oven in your kitchen? Got range issues? No matter which oven type you’ve got, let us fix its problems. Our experienced oven repair Delta technicians will detect the appliance’s problems and address them on the spot. We have the skills to fix all ovens in your kitchen. Whether you have a traditional range or super-modern built-in model, your oven will be fixed in no time and efficiently. Call our Appliance Repair in Delta to fix ovens but also install the new ones. Call us now if you urgently need gas oven repair. One of our experts will rush to repair the gas oven today. Is there a gas leak? Is there another problem with the cooking appliance? We troubleshoot, diagnose problems, and repair the appliance. Our techs follow the same pattern when you have trouble with electric ovens – built-in or ranges. If you want microwave oven repair, we are still here to help. Our experts fix these small appliances no matter of their brand and type. Do you have a built-in microwave sparking? Is the over-the-range microwave not heating up? Call us to repair it. Leave oven installation services to us too. It’s not easy to install ovens, especially if they are built-in models. But gas ranges also require extra attention and years of experience. We have the skills required to install both electric and gas ovens properly. And that’s important if you want to use a safe appliance free of problems. After years of providing range and built-in oven installation, we can assure you of our experience. All oven repairs are done properly. From replacing parts to troubleshooting and installing new ovens, our techs work by the book and have the expertise to do each job correctly. 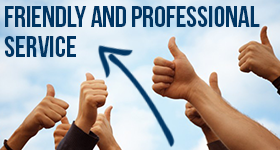 Trust our rapid response should you need our help urgently. 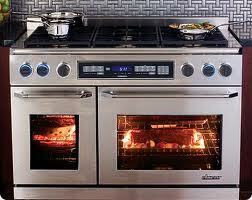 We provide affordable and expert oven repair in Delta and will be happy to cover your needs. If you need service, call us.